Which version is easier to see the army numbers on? Large 88's for XML coordinate positioning. Small 88's for XML coordinate positioning. With Neutrals/Starting positions - left this one showing as it's useful. The following table shows all of the neutral starting territories. To do this I would place neutral 3's on the following cards. Last edited by yeti_c on Thu Sep 25, 2008 6:09 am, edited 38 times in total. What were you thinking of in terms of cards being able to attack each other? Just free for all or have them kinda randomly thrown around and attack those bordering them? Or perhaps - "Most Wanted Poker"? The cards would have to be shuffled or else it would be too easy to get a straight or all of the good cards by holding onto a corner. Perhaps you might want special movement rules. Are you sure this wouldn't be too confusing? for this map to work it needs some clear attacking guidlines. placing the cards randomly and attacks to be made in 4 directions is not good. 2. the cards from 2-10 can only attack in a 1 card range. so if you have a 5 you can attack all 5s all 4s and all 6s. What if the attacking works like this. You can attack across suit or same number. So a 7 of hearts can attack any other 7 or heart. Another idea is that you can attack same number or number higher or lower of same suit. So the 7 of hearts can attack any other 7 or 6 or 8 of hearts. That way map layout order is not really important. WidowMakers wrote: Another idea is that you can attack same number or number higher or lower of same suit. So the 7 of hearts can attack any other 7 or 6 or 8 of hearts. You're ace at GFX Widow... fancy giving me a hand on this one? Sure. Let me know what type of layout you want and I can get going. I figures a poker table with chips and poker related stuff. Food and drink, etc. Let me know. Probably not a true "top" view but a little perspective to give all of the other things a little depth. Just ha another idea. We could make all of the cards spread out and toughing in different ways (borders). Then each card can attack cards it is touching or same number. Everyone will have the same chance to get a 4 of a kind though. And should the cards be CC based? the 4 suits could be the top four ranks. I'll attempt to devise a bonus scheme for each hand. Any four cards of the same rank. If two players share the same Four of a Kind, the fifth card will decide who wins the pot, the bigger card the better. Any three cards of the same rank together with any two cards of the same rank. Our example show "Aces full of Kings" and it is a bigger full house than "Kings full of Aces". Any five cards of the same suit which are not consecutive. The highest card of the five makes out the rank of the flush. Our example show an Ace-high flush. Any five consecutive cards of different suits. The ace count as either a high or a low card. Our example show a Five-high straight, which is the lowest possible straight. Any three cards of the same rank. Our example show three of a kind in Aces with a King and a Queen as side cards, which is the best possible three of a kind. Any two cards of the same rank together with another two cards of the same rank. Our example show the best possible two-pair, Aces and Kings. The highest pair of the two make out the rank of the two-pair. Any two cards of the same rank. Our example show the best possible one-pair hand. Any hand that does not make up any of the above mentioned hands. Our example show the best possible High-card hand. So also this dissolves one of my questions... does Suit matter... NO. So are we going with traditional poker here or are we going to design conquerclub themed cards? Coleman wrote: So are we going with traditional poker here or are we going to design conquerclub themed cards? crap. you've spoiled my dreams. how the heck am i going to conquer wicked now?? Now that I think about 4 of a kind I can see this being a problem. 4 of a kind is the 2nd highest ranked hand short of only a straight flush (of which royal flush is a subset) and simply requires 4 cards of the same rank. 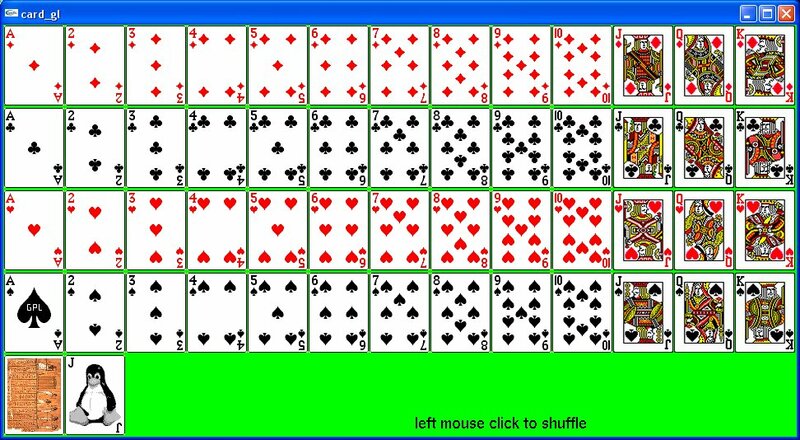 There are 13 possible 4 of a kind hands and even in a 6 player game the chance that someone will start with 4 of a kind is fairly high. If a player gets lucky, gets 4 of a kind and starts first the game could essentially be over right away. There needs to be some way to stop that. CC THEMED WITH CC PLAYERS AND THEIR AVVYS! I definitely think using ranks instead of traditional suits could be very cool. Just an idea here. You could possibly use moderator names for the cards. Not sure if there are 13 of them or not. Royal flushs might be fairly easy to get as they encompass the bottom corner mostly? Perhaps we can spread out the face cards a bit more? What do you reckon? PS Can we take this chat to the other Poker Map topic?! Sure thing, lol. My problem was that straights are relatively low value. Just above 3 of a kind, so I didn't want straights to be as hard as flushes or anything else above it. If A Royal Flush is going to have more value then a Straight Flush then I probably should break some of the face cards up a bit more. qwert wrote: 20000 continent Well you must take a big XTML team to finish code for these map.Good luck. I really don't think we'll need to do it that way. But if we do then I think yeti_c & I can split it up if we agree on some conventions as far as how we are going to name things.